as much as I like to talk about myself, there are times when I leave the floor to more deserving individuals. So today we shall cover the journey of my friend Guil from gym rat to actually looking like he trains. I have known him for a few years, seen him at our gym in NY. He always struck me as hardworking, sincere but never quite had all the pieces together to have the physique he could have. Once we started working together, his knowledge about training increased dramatically but it wasn’t until we came up with a deadline for a photo shoot when things clicked. For about about 4 months he buckled down and went from Exhibit A to B.
Ok Maik, another transformation story where someone worked out, ate chicken and rice… got abs..yaaaaaaawn! Well yes those are the technicals, we need diet and training to transform. But there is more to it. By agreeing to a shoot or any other type of deadline you are stepping out of your comfort zone and now have to deal with parts of your physique that are not so well developed. In Guils case, he’s got great arms ( insert insane jealousy here) so he could just walk around in a talk top and be fine. Instead he chose the hard way to really get a clean look as to what is missing and he can now go on and improve his weak points. He also had to deal with a less than perfect living situation where sleep was a rare commodity. Anyone knows the only think worse than being hungry is being tired and hungry. But on a much broader scale he used this transformation to pull himself out of a depression and to reinvent himself on many levels. 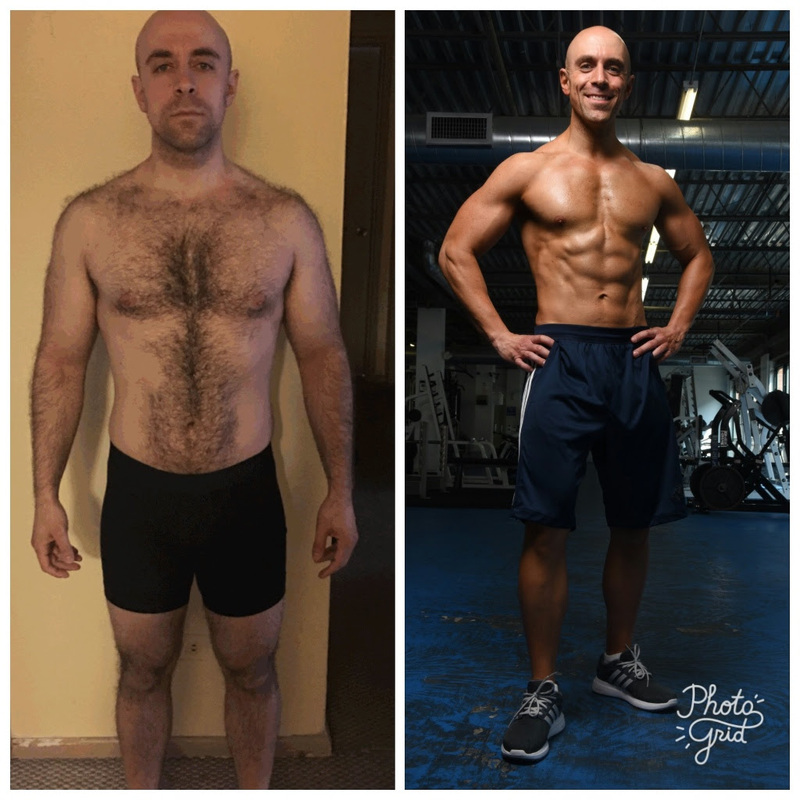 Not only did he acquire extensive knowledge through his cut about nutrition and training which will make him a better coach for his clients, but he also created his own masterpiece which will hopefully give him confidence for other challenges life throws at him. Previous post: Principles – You Have to Have Them! Next post: Lets talk about feelings!